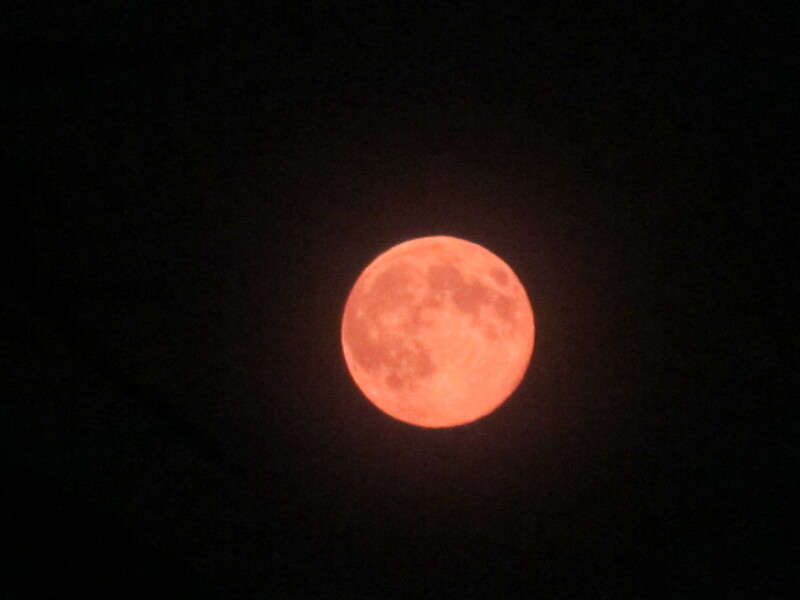 This is one of the pictures that I took of the Full Moon on Monday night, 22nd July 2013. It came out with a lovely pink hue which made me think of a Rose Quartz. This was the day that the new Prince was born to Kate and William at 16:24. I have been reading a lot of contrary views on Facebook. Some people celebrated the arrival of a new Prince who will probably one day be King and who could make a positive difference to the country. Others were saying that he is just a baby just like any other and that he is another”tax scrounger” and they were angry that Kate plans to call on an interior designer and will spend a million pounds on revamping the nursery. They said that this is in stark contrast to those babies who are being born into poverty, whose parents are having to go to food banks to get necessities and that children are suffering in war torn countries and that these children and other causes should be reported on by the media rather than the birth of another child into wealth and safety. I understand the point that they are making but children do not choose to be born (some mystical/spiritual approaches believe that we do choose those circumstances that we are born into so that we can evolve – but I will not venture into that discussion here) into poverty or wealth and I feel that it is right to wish any baby well. I cannot feel any anger or resentment towards Kate, William and their new child and wish them all well. My thoughts turned to Diana and how she would have loved this. Diana’s life and following on, her children’s lives became of interest to me because of the contrast in lifestyles. I watched Diana and Charles get wed on a little black and white Sony TV that I had moved around with me for a couple of years. I was at the time living in a practically empty flat in a tower block with a baby daughter.. It seemed bizarre that Diana and I were both starting new lives (I had moved in on that day) and such contrasting ones. But I did not feel any bitterness towards her. What can we do except to live our life as best as we can? I like the phrase that a friend of mine often used “Play the hand that you are dealt” Yes, play it as creatively as you can. One thing that we do have is freedom in the sense that we can live our lives, walk the streets, basically do as we choose, go out without makeup etc. I value that aspect. That is something that Royals do not have. My shoes might not be designer and they will have to last me a lot longer than a Royal’s pair of shoes would but I would rather be in my shoes and be able to live relatively freely. I was free to stagger around in my garden on Monday night and take photos of the Full Moon without the worry of being snapped by a paparrazi. The freedom to do things like that on a whim is priceless to me. This entry was posted in Moon and tagged Full Moon, Kate Middelton, Prince, Prince William, Princess Diana, Royal Birth 22nd July 2013. Bookmark the permalink.